I will share a recipe of “Posto” today. 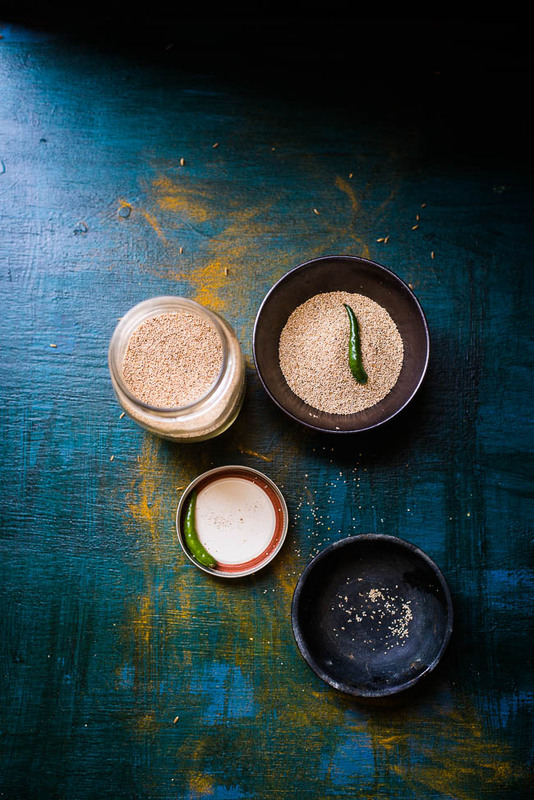 Posto is the name in Bengali for white poppy seeds and also known as Khus Khus in Hindi. Poppy seed is a form of oilseed and derived from Opium Poppy. It’s very popular as an ingredient in different foods across the world. Sometimes it’s used as spice and other times as decoration on top of baked foods. In the western world, foods like muffins, buns and bagels often use these seeds. 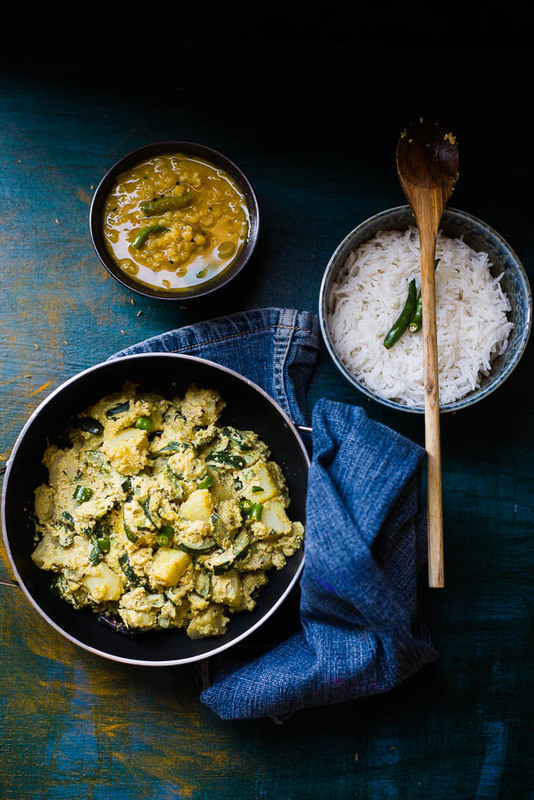 But in Bengal, especially in the western part, “Posto” is so popular, it goes with many different vegetables, mainly in the form of paste. I have seen many people in my family who loves this dish as much as fish or chicken. 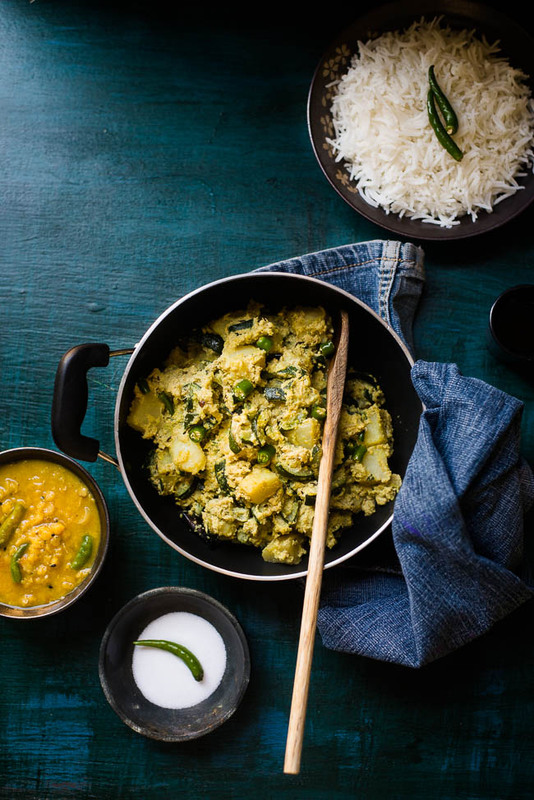 It’s undoubtedly the favorite vegetarian dish in West Bengal. The most common version is the Alu Posto, made of Potatoes with poppy seed paste). In other variants, Potatoes will be replaced by different vegetables like Ridge Gourd (Jhinge Posto) or onions (Pinyaj Posto). Sometimes even non-veg items like prawns (chingri posto), fish, chicken are used as ingredients. There is another form of this dish where raw paste of poppy seeds is cooked with mustard oil, chopped onion and green chilies without any vegetables. Along with hot bowl of rice and daal, this dish can be most delicious meal to many of the Bengalis. 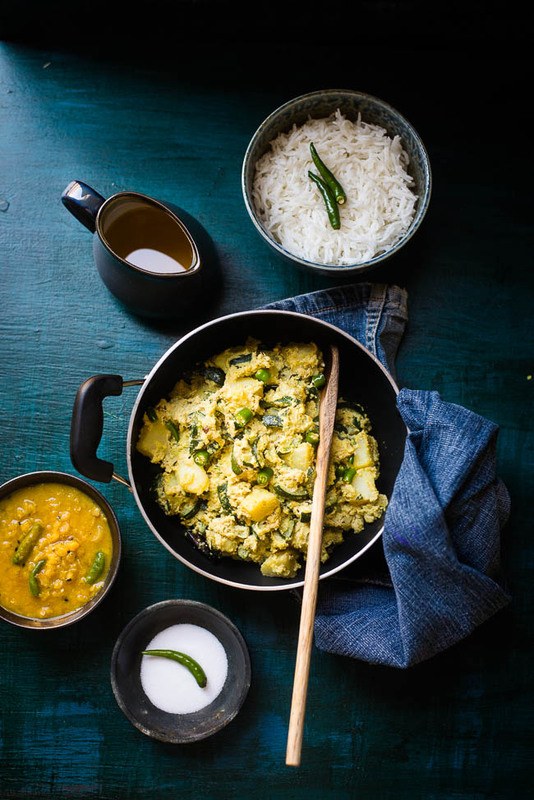 Though Posto is very common in Bengali household, every family uses their own tempering and consistency of the dish may vary based on household tradition. 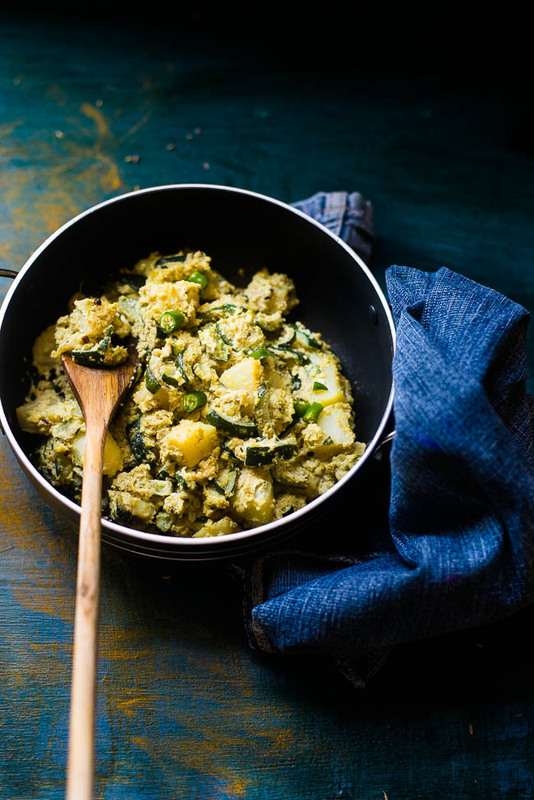 Today I will share the recipe of Zucchini-Alu Posto. It may sound new to you. But If you already tried Jhinge posto, it would taste similar to you. 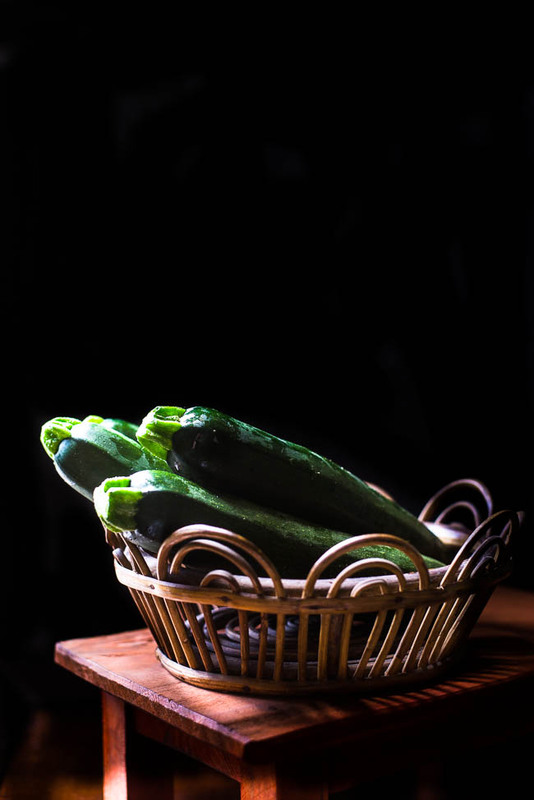 I tried zucchini in many other Bengali dishes replacing Potol( pointed gourd ), jhinge (ridge gourd) or Kumro ( pumpkin ) but never tried this vegetable with posto before. And wouldn’t have tried if one of my friends prepared this dish only for me, the day I returned from India last month. The taste was simply awesome and within a week I bought the vegetable to try it out on my own. Like other posto dishes it was simple to cook, so try it out and I hope this dish will become your favorite too. 1. Peel the potatoes, cut into cubes. Chop the zucchini into 1/2 inch pieces. Set it aside. 2. Take a blender or wet grinder, ( I use the Magic Bullet with flat blade to make poppy seeds paste ) add the poppy seeds, green chilies and 1/2 cup of warm water. After 10 minutes, make a fine paste. 4. Lower the flame and add the poppy seeds paste. Can add few tablespoons of water. Mix it nicely. Cover the pan and simmer it for about 6 to 7 minutes until everything is well cooked. Check the seasoning, add salt or more green chilies if you need. Now add mustard oil and switched off the gas. Zucchini Alu Posto is ready to serve.